The Apple Watch is getting the initiation that inevitably comes to all new gadgets: the torture test. Yes, there are those willing to spend money on a top-flight gadget just to see how far you can push its before it breaks. Why this matters: Apple has some bold claims about the Apple Watch’s craftsmanship, highlighting “scratch-proof” sapphire crystal and an aluminum build on the Watch Sport that the company says is 60 percent stronger than standard alloys. When you’re spending several hundred dollars on the latest technology, you want to know it lives up to the promise. Fortunately, there are always some out there willing to destroy their devices so you don’t have to. In the case of the Apple Watch, it’s doing rather well under all this strain. A YouTube video (below) features a waterproof test, where the Apple Watch was submerged for 15 minutes without any hit to performance. The only downside they found was you couldn’t navigate the screen while underwater, though that’s to be expected with a capacitive touchscreen. More practically, this means if you drop your watch in the pool or a, uh, porcelain water receptacle, you’ll probably be fine. Consumer Reports decided to go after the Apple Watch’s screen quality, testing out its scratch resistance. 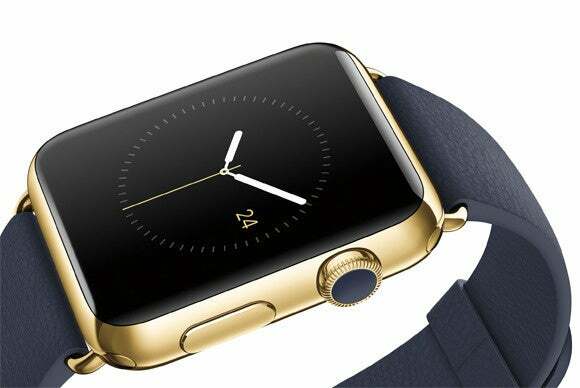 It tested the strength of the “Ion-X” glass in the Sport model and the sapphire crystal of the Apple Watch. They used the Mohs scale of mineral hardness to decide what to drill the screens with. They found the Sport screen was scratched by an 8-rated pick, which is a solid result. This also indicates it takes a very abrasive material to scratch the screen. The Watch, meanwhile, was able to tolerate 9-rated pick, which is the equivalent of a masonry drillbit. We should note that DisplayMate found the Ion-X screen less reflective than the more durable sapphire crystal, so Watch Sport owners have a small advantage in bright sunlight. Another video shows an attack with sandpaper and keys. While it did result in some scratching, this is a rather extreme example that you shouldn’t try at home. The most complaints seem to be coming from those who have a stainless steel watch. A 9to5Mac report says several are saying they’ve picked up some minor scratches along the side of the watch, though you may be able to buff them out with metal polish and a hand towel. According to 9to5Mac’s report, the stainless steel grade Apple used isn’t the very top of the scale, though going with a more durable stainless steel would have raised the cost even further. The bottom line is something you wear on your wrist all day is possible to pick up a scratch or two over time—but it looks as if Apple has done a lot of work with the screen and waterproofing to ensure your new purchase will last. And no, we’re not taking a hammer to ours anytime soon!